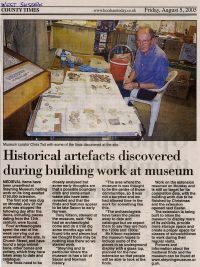 The Museum tells the story of our local area from pre-history to the present day. There are permanent exhibits and temporary displays, so a look around is equally worthwhile for new or regular visitors. If you want to research something in more detail, we keep a library and archives. Have a look at our shop too. Disabled visitors are warmly welcomed. 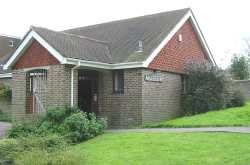 We provide good access and suitable toilet facilities. 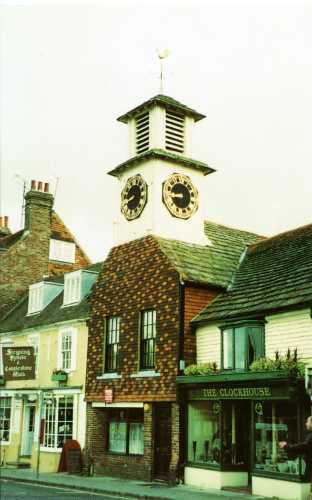 Steyning Museum is run by volunteers. 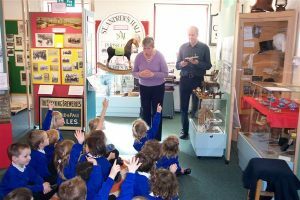 The Friends of Steyning Museum have been active since 1983. 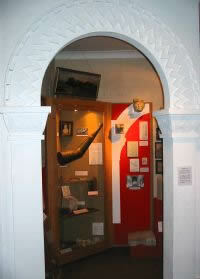 You are welcome to join as a Member of Steyning Museum Trust. See the Friends link (left) for details. In recent years, the fundraising efforts of the Friends enabled us to build a museum extension. We kept an online diary about the new extension from its first day of construction to the offical opening. Our solar panels were installed as part of the Greening Steyning campaign. You may be interested to see the comments people have made in our visitors' book after seeing the museum. Just contact the museum to arrange a time to visit. We are especially interested in supporting schools and young people following the National Curriculum. Use the Schools link (left) for more details about our education services. We try to help students in every way possible. Our family history resources are extensive. 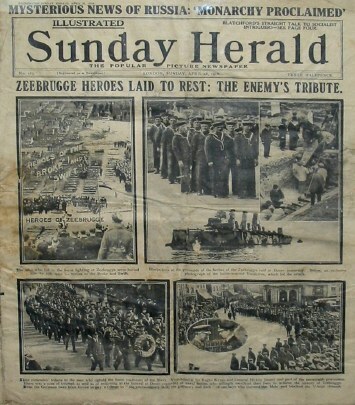 All our archives are accessible to visitors and we have an enthusiastic family historian who can be contacted by email. She also shares details of her research on our family history blog. If you are researching your local family history, see our Genealogy link (left). There are many items in our care which are not currently on display. You are welcome to ask if there is something you would like to see from the store. Steyning lies just off the A283 road from Shoreham to Storrington. Our pictorial local map by illustrator Janet Keystone will show you where we are. You can find Steyning on the Multimap website. The museum's Data Protection Policy document can be downloaded here. Steyning Museum also has various policy documents which are available for examination at the museum if you contact the curator in advance. You can contact the museum on contact@steyningmuseum.org.uk to arrange to examine these documents.